Beautiful rug! Much better in person. Silver Orchid Martin Faux Fur Beige/ Black Shag Area Rug - 5' x 7'6"
This Martin rug from Silver Orchid is a beautiful example of the comfort and hip style that a plush shag rug can offer. The Martin features a rich two-tone beige color that will be a great accent piece in a bedroom or living room. Dimensions 90.0 In. X 60.0 In. X 0.75 In. Super Soft and absolutely worth every penny will purchase again in different colors. This rug is soft and elegant. I have bought many rugs and will continue to do so. 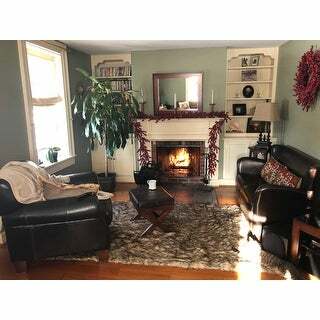 I placed this rug in the front of our fireplace and it looks stunning, so I decided to purchase a larger one for the living room. Both together look stunning, I love them. Love it! Better in person than photo. Perfect touch in front of our rustic fireplace, would purchase again. I'm sure you are not supposed to, but I threw it in wash & fluffed up the fur with a brush to bring it back so for me....easy care. Love it! Goes perfectly with my furniture and it so soft. Very soft and pretty but very thin; moves about and rolls up, even laid on a carpet. Perfect! I spy our cat sunbathing and camouflaged! 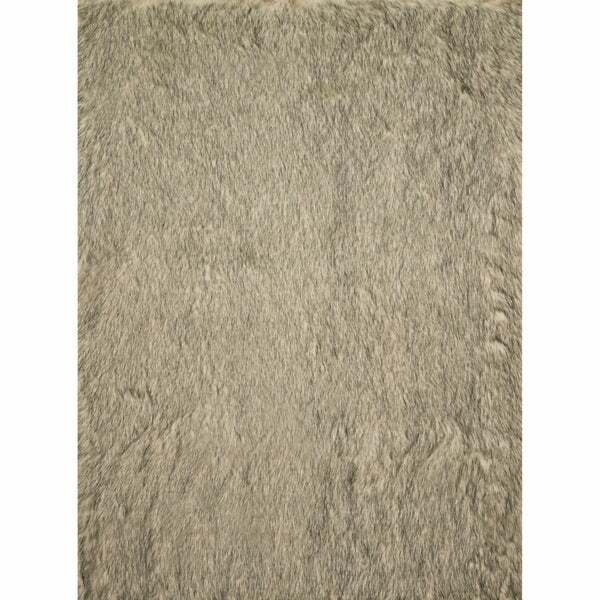 Faux Fur Sheepskin Textured Shag Rug (5' x 7'6) - 5' x 7'6"